The purpose of this blog entry is to encourage you to try other grape varetals from all over the world instead of sticking with the same 9 grapes that you have been drinking over and over again. For those who think they are Cab lovers and hate Merlot or for those who think since the movie Sideways in 2004 that Pinot Noir is their favorite wine, I think when I explain to you how to interpret a Wine Label, you will realize you might not be drinking what you think you are drinking! 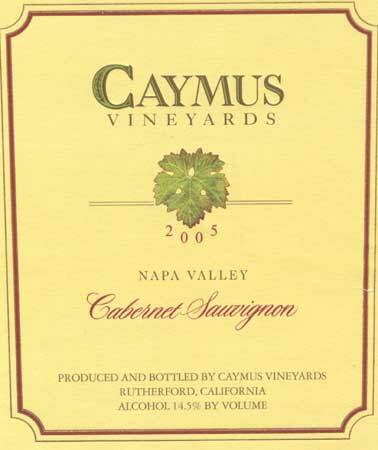 This appears that you are drinking a famous “Napa Valley Cabernet Sauvignon” As far as the label saying a specific appellation or AVA(American Viticultural Area) like Napa Valley where some bottles of wine just say California here are the laws: a. California State law requires that 100% of the grapes come from within California b. Other States Federal law and nearly all other states require that 75% of the fruit must come from within the named state.c. Officially Designated Viticultural Areas. 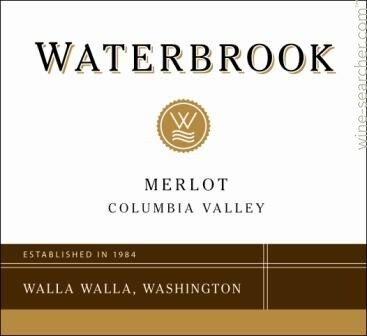 Since 1983, at least 85% of the grapes must come from the named region (for example “Napa Valley.”) The same is true for my favorite AVA “Columbia Valley” in Washington State. Now for the most important lesson as stated at the beginning of this blog entry. What about the name of the Grape Varietal on the Label like Merlot, Cabernet Sauvignon or Pinot Noir?? Wine Type Mandatory. A wine may be labeled by a grape or varietal name such as Chardonnay or Cabernet Sauvignon, or it may be given a generic name such as “Red Table Wine.” Prior to 1983, a wine labeled as a varietal was required to contain at least 51% of the named grape varietal and have the “taste, aroma, and characteristics” of the grape varietal. Beginning in 1983, wines using varietal names must derive at least 75% of their volume from the grape designated. That’s A BIGGIE Folks. This means almost every Cabernet Sauvignon has a bunch of Merlot and bits of other grapes and every Merlot has a bunch of Cabernet Sauvignon and other grapes. Don’t even get me started on California Pinot Noirs that resemble nothing like a Pinot Noir because of all the dark grapes mixed in such as Petite Sirah and Syrah etc. In Oregon State Law requires 100% Of Pinot Noir And Pinot Gris be in the bottle with no blending allowed for those 2 grape varietals. Remember, that the Winery is not required to disclose anywhere on the label what the 25% of other grapes are being used in your Cabernet, Pinot Noir, or Merlot. So basically, if you think sometimes you are in the mood for a Cabernet and sometimes you ask your Wine Merchant for a Red Blend or Meritage (Rhymes with Heritage and contains 3 Bordeaux Grape Varetals only)… Almost Every Wine You Drink IS A BLEND but you didn’t know this! 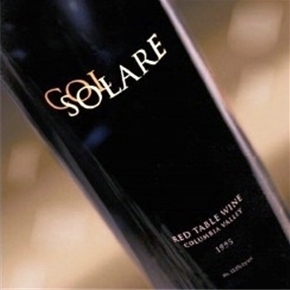 Col Solare one of my favorite wines in the World from Washington State must be labled a Red Wine or Red Table Wine as you see in the picture even though there is 71% Cabernet Sauvignon in the wine but that is 4% shy of the required 75% to be labeled a Cabernet Sauvignon. Are you starting to understand this a little bit yet? Why not throw in one final element that I always look for on a wine label. Two Words: ESTATE BOTTLED Optional. This term certifies legally that the winery grew 100% of the grapes on land it owns or controls and that the winery crushed, fermented, finished, aged, and bottled the wine in a continuous process. Both the vineyard and winery must be located in the viticultural area that is stated on the label. You are not going to find these words on a bottle of BOLLA Jug Wine that you buy in your local supermarket or drug store. Estate Bottled wines at any price point are always going to be the best because that means the Producer of The Wine is not buying grapes from unknown sources and has 100% Control over the farming and quality of the grapes that they are using to make their wines. It is similar to using a Tomato Sauce in a Jar to make a Pizza and a Frozen Dough or making your OWN Sauce and Own Pizza Dough. Hopefully, understanding what the wine label is saying this will encourage you to step outside the box and try some Wines from Spain, Greece, Italy, France and stop drinking the same varietals over and over. Three is a whole world of Assyrtiko, Tempranillo, Tannat, Vermentino, Garganega, Sangiovese, Monastrell, Trebbiano, Nebbiolo waiting for you to try. Remember when it says Libbys Libbys Libbys on the Label Label Label it might not be all Libbys inside the bottle! Thanks Marty!!! I am glad to have you as a satisfied guest and enoying exploring new wines!